· The President is going to talk directly to the American people about restoring security for middle class families after a lost decade of declining wages, eroding retirement security and escalating health care and tuition costs. · The President will talk to the American people about steps we need to take to build on the work we did this past year to bring the economy back from the brink of a depression. While the worst of the economic crisis has passed, for too many American families and businesses the wreckage remains. § Policies to spur more exports of American manufactured products. · The President will talk to the American people about meeting the challenges that have hurt middle class families, and those who aspire to it, by building a New Foundation of prosperity for American families and businesses. o He’ll call on Congress to enact fiscal reform that recognizes that the deficits and debt exploded the last decade before the President took office. He’ll propose measures to deal with the costs of bringing the economy back from the brink of a depression and call on Congress to engage in the bi-partisan work required to address the debt that was accumulated in the last decade. o He’ll ask Congress, Democrats and Republicans, to continue the work on health reform. He’ll remind all members that premiums will continue to rise; businesses will continue to drop coverage and more families will deal with insurance company abuses if we don’t act. · The President will also speak directly to the American people and to Congress about changing the way business is done in Washington so that the American people know that their interests always come before the special interests. He’ll call for more transparency so that the public is always aware of what’s being done on their behalf. · The President will talk about his efforts to better protect the American people. After inheriting two wars and a growing terrorist threat, he will review the steps that he has taken to increase the pressure on al Qaeda, and refocus on Afghanistan. He will discuss the progress made in carrying out his plan to end the war in Iraq. And he will announce a new plan to protect the American people from bio-terrorism and infectious disease. · The President has renewed America’s alliances and standing in the world. He will preview the progress that we are poised to make as we near completion of a landmark arms control agreement with Russia, and prepare to host a Nuclear Security Summit in April that will rally the world behind the goal of securing all loose nuclear materials. He will also speak about America’s leadership on issues like global economic growth, climate change, and human rights. · For over a decade, American families have been working harder and falling further behind. As college become less affordable; retirement savings become less secure; home values plummet; health insurance premiums and co-pays eat into wages and the cost of living explodes, the standard of living for American families continues to decline. · While they meet their responsibilities and play by the rules, they have seen the special interests and those with political access in Washington get farther and farther ahead. Rather than seeing policies that encourage responsible behavior, American families have too often seen Washington reward irresponsibility while passing on debt to future generations. 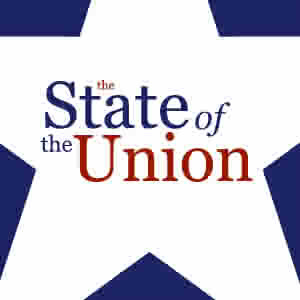 · The President will talk about the need for change that the American people want and expect. For a decade, American families and businesses have experienced an erosion of the economic security that has been at the core of our prosperity. Tonight the President will lay out his vision on what steps are required to restore that security and how Washington should do its work in a way that reflects the best of our people and our democracy.